We are very proud of the te am at Kavanagh Racing Stables. Stable foreman, Mitch Wiese (centre), is a very accomplished horseman in his own right. Mitch was a successful racehorse trainer in his home Country South Africa, right up until he moved to Australia in late 2015. Mitch’s career highlights include winning the longest flat race in the world, the Gold Cup (twice), and taking out the jackpot at Fairview Racecourse, training four winners, one after the other, on the same day. Mitch won every big race in Port Elizabeth, but the real highlight of his career was training a horse called LIZARD'S DESIRE, who went on to run second in the Dubai World Cup, won the Singapore Airlines Handicap in Singapore and placed in a Group race in Hong Kong. 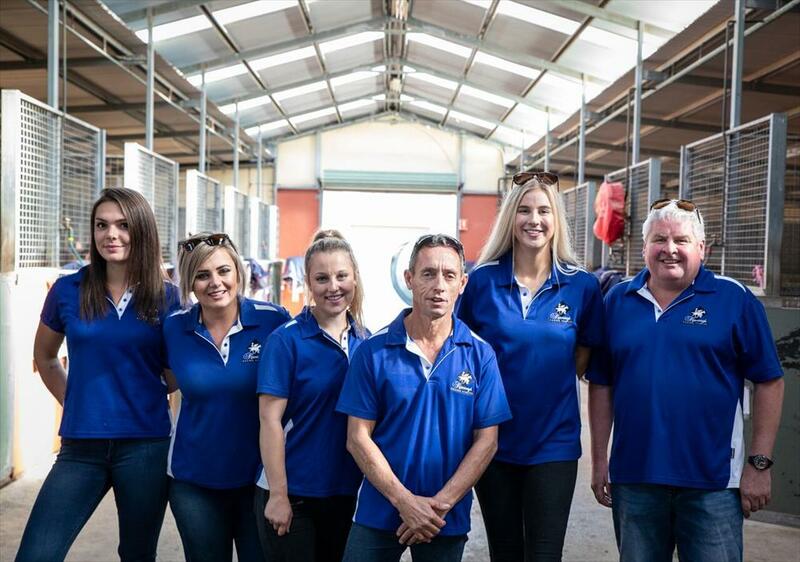 Mitch is supported by long time employee Glenn Sams (right), Chris Harvey, Melanie Lovegrove, Jacqui North and Kate Sidley, all very passionate and expereinced horse people. The office staff also do a fantastic job and are always happy to assist where possible. Please do not hesitate to contact the office and make an appointment to come and see the horses and meet the team.